With the apprenticeship levy coming under fire as ‘not being fit for purpose’ a year after implementation, Aggregates Industries has stated that all construction companies – whether levy applicable or not – must do their bit to attract the next generation or risk the consequences of an escalating skills gap. Launched in April 2017, the apprenticeship levy means that employers with a wage bill of more than £3 million have to pay a 0.5 per cent of their total payroll to fund apprenticeships. The broad purpose is to raise £3bn a year to meet a target of three million new ‘high quality’ apprentice start-ups by 2020. Fast forward a year and the levy has been heavily criticised for being overly complex and inflexible, meaning it has actually put off companies from taking on apprentices. Tellingly, data1 has shown that of the £1.39bn pot paid into the levy by English businesses, only £108m has been utilised so far – an indication of companies struggling to use the system. However, Aggregate Industries has been keen to state the construction industry cannot afford to dismiss the importance of attracting the next talent pool, irrespective of their stance on the levy. 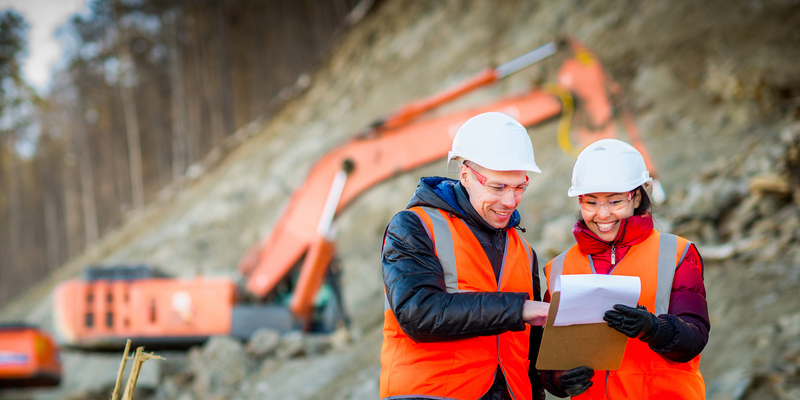 David Butterfield, Head of Learning and Development at Aggregate Industries, comments: “From our own experience, we can understand how businesses may find the new funding regime a bit of a minefield and therefore treat it like a tax if they are paying for it but not using it. According to the Federation of Master Builders2, January 2018 saw the construction worker shortage hit its worst level on record, severely threatening its ability to deliver on proposed new build targets. With a significant proportion of the UK’s construction workforce made up of EU workers, the consensus is that the nation’s skills gulf is likely to deepen further. As a business invested in the next generation, Aggregate Industries operates an extensive apprenticeship programme designed to give people an opportunity to learn new skills and practice them in a live environment, as a solid basis for career development. Each year the business takes on a substantial number of new apprentices who typically go on to enjoy fruitful careers in construction and engineering roles. The business has taken on a total of 49 levy-funded apprentices since its introduction, including 17 higher apprentices, typically occupying operational supervisor and team leader positions, 10 working in admin roles and 22 engineers.